When it comes to taking great care of dogs, consistency, honesty and compassion is key! Our “Pack Member Subscription” plans allow us to provide you with a reliable professional dog walker who will get to know all of your precious pup’s habits, like’s/dislike’s and personality. Regardless of an overnight trip, work scheduling or holiday get a way , Fetch Pets is a full-service pet care company, and our dedicated team of pup-loving pros is there for your every need. You are assigned a personal Pet Concierge and Dog Walker who will get to know you and your family and you don’t have to worry about multiple walkers or strangers being in your house or around your family, ever! 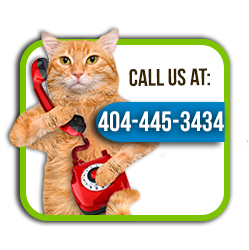 We guarantee you won’t find a more Caring, Compassionate and Connected Pet Services Team in Metro Atlanta and we stand behind that with a Money Back Guarantee, ask ALL of our happy clients, we would be delighted to provide you with numerous references! 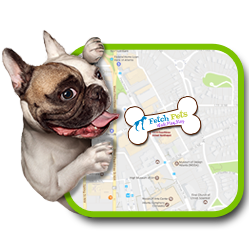 Fetch Pets sets the standard in Atlanta when it comes to being connected to your furry family member at all times when Fetch Pet’s is involved. We have worked diligently with a highly experienced and involved software team to develop a stable, connected and informative solution for mobile phones and computer platforms which means our clients get access to the most advanced informative experience when it comes to our services and their overall experience. By choosing Fetch Pets you are gaining access to this technology which ensures you’ll never have to worry or wonder about your furry family. You will get frequent updates and pictures to ensure you never have to wonder about their care. 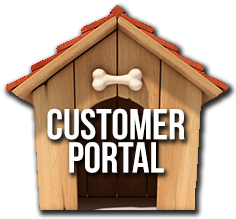 Detailed visit reports with photos of your furry family member and Walker notes including potty and feeding details. Pictures during the walk and much more! Fetch Pets offers numerous plans and also customized packages to meet all of our clients’ needs. From on-demand unscheduled “Occasional Walks” , “Pack Member Subscription Walks” up to and including “Unlimited monthly Walk Packages” we are sure to offer a plan that makes sense for your schedule. With an extensive range of options available within Pet Sitting and Walking we are extremely confident our client’s will identify a package to fit their individual pup’s needs and family budget. We also will build a customized “Concierge Package” to fit your schedule and unique needs. We are confident that we will be your “Go To” Pet Services team for anything from Pet Sitting, Transportation, Pet Walking and Pet Supply Procurement. At Fetch Pets, we take the care of your furry family member, residence and overall experience the utmost important. This is why we are committed to only hire experienced, college-educated walkers with proven track records of trustworthiness and responsibility. We ensure this by being the only pet service company in Atlanta that even runs a credit check on ALL of our team when they are hired. Also, prior to joining the Fetch Pets team, all of our pet concierge and walkers go through an extensive screening process which includes multiple interviews, background, reference and credit check as indicated above along with , and 2 weeks of on the job training/shadowing with a senior team member. We’re serious about the safety and security our clients, your pet and your home, and providing outstanding talent is just one of the many ways we show it. We truly are stewards of not only your pet but of your home and we take it serious! 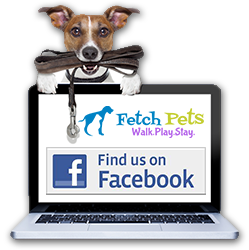 The Fetch Pets team is here to make life easier on you and your furry family member. While we don’t claim to be purrrrfect, we guarantee you won’t find a team more committed to ensuring your satisfaction as you will with Fetch Pets and we back it up with a 100% Money Back Guarantee! We have numerous clients that will vouch for us and would be please to discuss references during our meet and greet.